Starting as a 16-year-old, Mary Stark revolutionized the lead off position with her line drive, power alley hitting. A tremendous defensive player, Stark won numerous Gold Gloves and MVP awards. Able to combine line drive hitting with power, Karen Foley hit .589 with 225 home runs for The Chicagoans and C.M.C. over a 12-year career. She played on the Class A State Championship team, The Chicagoans, in 1982 and 1984, and was MVP of both tournaments. 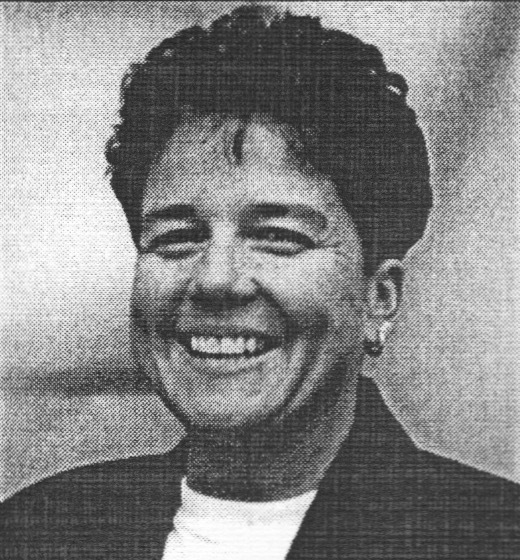 Lake Zurich’s Laura “Flip” Fillipp became the first Illinois player to ever be elected to the National USSSA Hall of Fame in 1993. A left-handed power hitter, she hit over 200 home runs and boasts a .650 lifetime batting average. The first baseman/outfielder, Helen Biddle, excelled in the clutch, always coming up with top performances in the biggest games. She also averaged over .500 during a 30-plus year slow pitch career. Biddle played Women’s A ball with Stroh’s Lassies and Outsiders. In mixed ball, she played with the Batavia Moose and Glidden Drug Store. 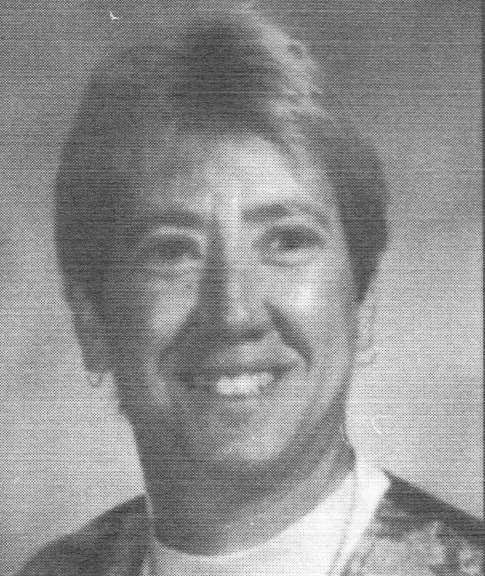 Biddle was twice named to the Women’s Class A Illinois All-State team (1980-1981), and was a three-time member of the USSSA Class A Women’s All-World team (1979-1981). She was named Best Female Defensive Player at the 1982 Mixed Competitive NIT in Hutchinson, Kansas and was on the 1984 Mixed NIT All-Tournament team in Rockford, Illinois. In 1984, she was named to the Women’s All-Time All-World team by the USSSA National Hall of Fame Committee. 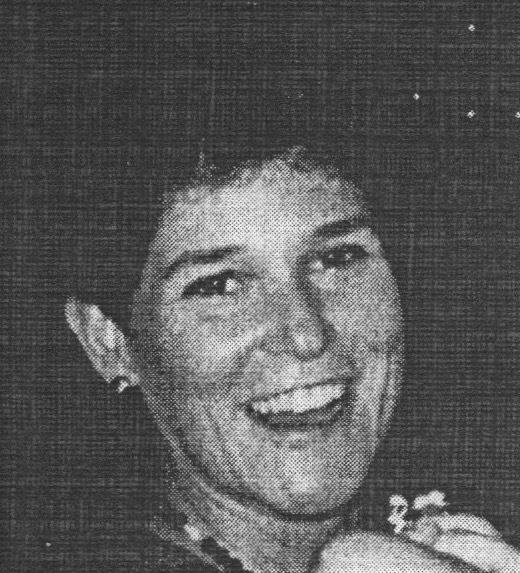 In 1985, Biddle won the USSSA deBeer Pollack Woman of the Year Award. Jan Wilson’s 25-year career began in the 16-inch program, converted to 12-inch and then 11-inch when the USSSA adopted that ball in 1979. Her ten-year career in the USSSA consisted of three Class A State Championships and appearances in six USSSA Class A World Tournaments. Considered one of the top power hitters in the women’s program, Wilson hit in the “meat” of the order, belting over 200 home runs and having a lifetime USSSA batting average of .557. All-State Tournament Team honors include: 1979 with the Chicago Stingers; 1982 and 1984 with The Chicagoans, Class A State Champions. 1980 also produced an All-State Award with the Chicago Wind, runner-up in the Class A State Tournament. In addition, this first baseman/catcher earned All-Tournament team awards at the 1982 Milwaukee NIT and in 1990 at the Rockford NIT. Behind Mary Malpede’s pitching, her team won over 500 games and appeared in ten USSSA Class A World Tournaments. Compiling a 30-20 record at these National events, she spent the last 11 years of her 16-year career in USSSA competition. The Chicagoans won the Illinois Class A State Tournament in 1982 and 1984, and with a team name change to C.M.C., they won the State Title again in 1988. Mary’s pitching brought much success at many USSSA NITs including The Lassie Invitational, Werner’s at Sheboygan, Wisconsin, Milwaukee, Rockford and Louisville, Kentucky. The Chicagoans and C.M.C. were ranked in the top ten nationally for many years due to solid defense and power hitting. Although power hitting was not Mary’s forte, she could move the runners on her base hitting. Mary sums up her attributes not as physical but as personal accomplishments learned by the camaraderie she had with such a great group of athletes and friends she made in softball. Sheila Eversole played softball for 20 years, of which ten were spent playing USSSA. She was respected for both her offense and her defense, making her one of the most sought-after softball players in the Rockford area. She participated in ten USSSA World or Divisional Tournaments. Three times, she was named to USSSA All-Tournament teams and twice as MVP. She was a strong pull hitter with a career batting average of over .600 and the capability to hit either the base hit or home run. With her great speed on the base paths, her teammates loved batting behind her knowing she would be able to score on a base hit. She was an all-around athlete who excelled in all sports at Harlem High School and Rock Valley College. Sheila’s teams include: Town Hall, Prairie Moon Saloon, Three Hammer and Blackhawk Athletic Club. Back in 1976, Debra Stamm Germann received an exemption to play ball with an adult softball team while still a Milstadt High School junior. It marked the beginning of a career that would see Germann win numerous All-Tournament and MVP honors in two softball associations over the next 15 years. During summers off from playing volleyball and fast pitch for Southern Illinois University and Illinois State University, Germann played slow pitch with Hecker-Miller Lite. Throughout the early- and mid-80s, Germann won numerous All-Tournament and MVP honors. In 1985, she joined Coors Light out of Champaign. 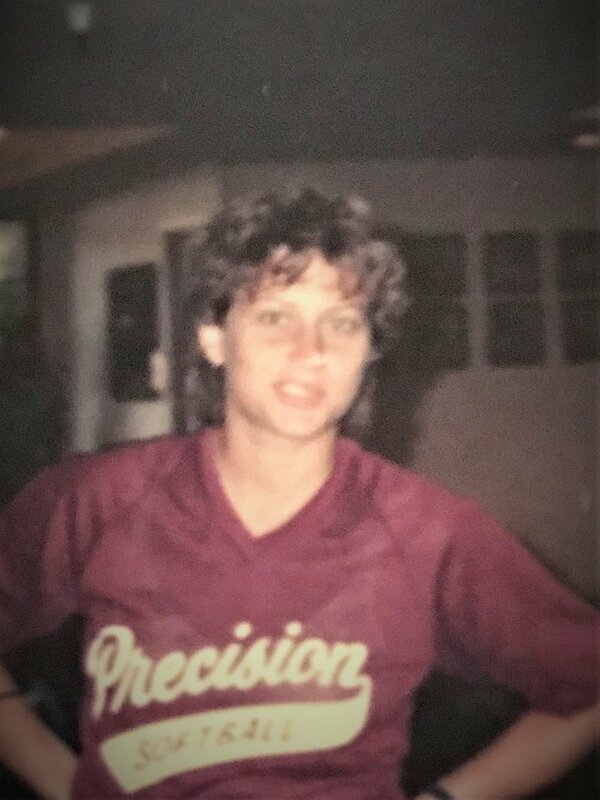 Playing shortstop and batting lead-off, Germann, along with teammates Marion Bell at first, pitcher Carol Stark, outfielder Vicky Winchester and power hitting Carol Moering, won the USSSA Women’s Class A State Title in 1985 and 1986. Coors turned in final four finishes at the USSSA World in Springfield in 1985 and the 1986 World in Parma, Ohio. Along the way, Germann married Mark Germann, and by 1990 she had new priorities – she was pregnant with daughter, Amy – causing her to hang up the spikes. She is now a physical education teacher and helps run Mark’s construction business. However, while Germann has forgotten many of the details of her playing career, many who witnessed her athletic accomplishments have not. “She was the one everyone looked to for leadership and to come through in the clutch,” Marion Bell, a Hecker and Coors teammate, said. Fellow 2001 inductee Gloria Kolbusz, whose Chicagoans won three USSSA Class A titles, remembers Germann’s Coors team as highly competitive, well-coached and Germann as a force to be reckoned with at the plate, on the base paths and in the field. Illinois USSSA State Director Brenda Paulson remembers the first time she saw Germann play clearly. “The first time I ever saw her play, at the Lassies NIT in St. Charles, she stroked a base hit to right, and was standing on second before they got the ball in to the infield,” Paulson said. Germann is honored by her induction. One more time, it is all about a great teammate and softball player, with Debra Stamm Germann’s induction into the Illinois USSSA Hall of Fame. A skilled place hitter and defensive stalwart throughout her playing career, Beimal established herself as one of the top woman players in Illinois from the mid-70s through the mid-80s, starting with Big Blue out of Lombard, then the National Bank of Rochelle and later with Prairie Moon Saloon of Rockford. Always an outstanding athlete, Beimal was the first woman to receive an athletic scholarship to Northern Illinois University. She was also the only woman to ever play three major sports – volleyball, basketball and softball – for four years at NIU. She brought that combination of athletic skill and tenacity to her USSSA career. Once on the base paths, the fun was just starting for Beimal, who was particularly adept at manufacturing runs. Even when she made a mistake, Beimal made up for it. On one occasion, she was charged with an error on a difficult play with two outs in the seventh inning of a previously perfect game. Disappointed but not shaken, she responded by turning a double play on the next batter, salvaging a no-hitter for her pitcher. Beimal likely would have received more national attention if she had played on more nationally competitive teams, but she valued playing with people she knew and liked more than tournament trophies. While her teams did not always dominate tournaments, Beimal certainly stood out. One season, she was named the tournament MVP in five of the seven tournaments her team played. She won eleven MVPs overall, and was also MVP of an All-Star game. After nearly 25 years in the game, Beimal appreciates the USSSA experience more than ever. Now a Dean of Students at a high school for troubled youth in Florida, she plays softball recreationally; however, it’s the well-being of future generations that’s most important to her. True to her calling as a coach and mentor to young people, Beimal is thankful to the USSSA not just for what the sport has given her, but also for the opportunities it affords countless girls throughout the country. 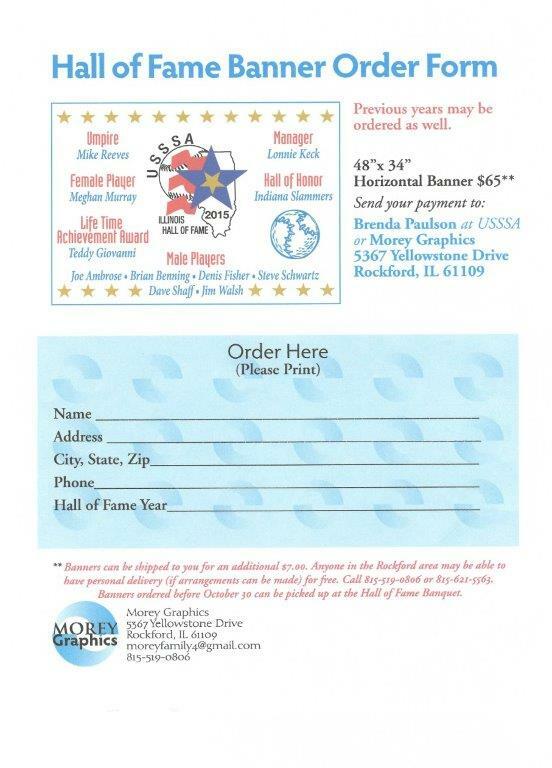 The Illinois USSSA Hall of Fame returns that sentiment and honors a great softball player and role model. Playing on two of the top Illinois women’s teams of the 1980s and early 1990s, pitcher Deb Keller produced 22 no-hitters and 40 one-hitters in her career. 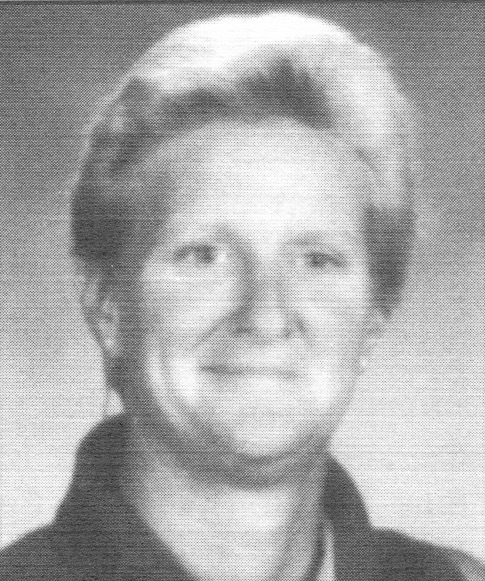 An Aurora resident, Keller attended Willowbrook High School in the early 70s with fellow 2003 inductee Don Loid, where she played softball, basketball and volleyball. Summers home from college, she began playing slow pitch. After graduation, she was playing on Lombard’s Big Blue and got to know the players on the Lassies. Keller ended up being right about that as she played on a team with the likes of Helen Biddle, Mary Stark and Nancy Starck-Shirley. One of Keller’s biggest thrills over her career was being named to the All-World team in 1980 in Kingston, North Carolina along with her battery mate Jo Suave. The Lassies finished fourth at that 125-team tournament. The following year, they went 6-0 in the winner’s bracket, but lost their final two games to finish as Nationals runner-up. They qualified for World play four times over the next six seasons, and won numerous league, State and invitational titles. Keller loved her experience with the Lassies, but she remembers softball fondly overall. Besides the excitement of top flight competition, Keller and her teammates had numerous adventures on the road, including buses breaking down en route to tournaments, bats being lost by airlines and monumental rain delays. It rained most of the time at the 1981 World Tournament in Hutchinson, Kansas, to the point where teams would go back to the motel and try to grab some sleep while waiting for phone calls from tournament directors that would come at any hour of the day or night. Then, off they’d go to play. After the Lassies disbanded, Keller moved to Playments in Elgin. Keller went back to the USSSA World Tournament with them in 1994 in Dunedin, Florida. The USSSA now thanks Deb for always giving softball her best effort. Since she first started playing adult competitive slow pitch as an eighth grader, Southern Illinois native Marion Bell has played every position in 20 years of softball, the last ten of them in USSSA. A .650 lifetime hitter, Bell had power to all fields. That talent led her to be selected to the USSSA Class A All-State team in Rockford in 1985, and helped her teams qualify for several USSSA World Tournaments. After starting out with Fred Bach Auto Body of Belleville, Bell moved to Miller Lite of Belleville (later “Hecker”). Towards the end of her career, she played two seasons with Coors of Champaign. From the time she was 18, Bell has been a player to whom teammates have looked for support, guidance and leadership. In fact, Bell is remembered as much for her organizational and logistical skills as for her talent, particularly with the Miller Lite teams. 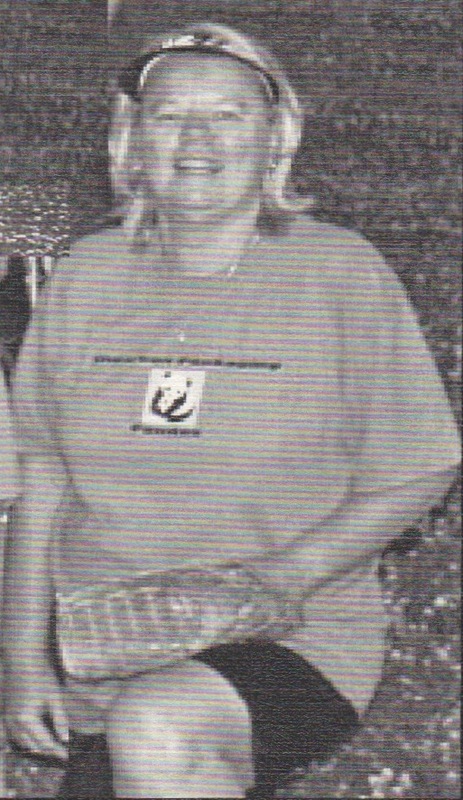 Bell retired in 1988 following her second back surgery to repair a cracked disc injured playing indoor softball. “It’s kind of hard when you don’t get to pick your time to leave,” Bell said. Still, Bell retains many friends from the sport. “I probably consider five of the girls I played with my best friends,” she said. Another four or five she sees several times a year. “I made lifelong friends, and had a lot of good times,” she said. Among those good times were the years spent hitting softballs over the fence at Fox Valley in Rockford. One of her fondest memories though is being utterly lost in Kingston, North Carolina. After flying in for the USSSA World Tournament, Bell and teammate Deb Germann took turns changing into their uniforms in their rental car and looking fruitlessly for the park where the tournament was being held. Finally, they spotted another car with rental plates and asked them if they were headed to the park. The car’s occupants, Brenda Paulson and her husband Ken smiled and said, “Follow us.” Brenda had the women run ahead while she parked their car. Bell and Germann got to the field as the first pitch was being tossed and looked up later to see Paulson walking up, smiling, with their purses and bags in her arms. In her softball retirement, Bell’s thoughts sometimes turn back to the game she spent a vibrant youth playing. While her thoughts will be with the people gathered in Rockford for the induction ceremony, Bell cannot be there physically. “It’s very special, I wish I could be there,” Bell said. In her 29-year playing career, 12 of those participating in the USSSA, Evansville’s Jeri Siegfried-Mueller played on some talented women’s softball teams. Siegfried-Mueller, a solid shortstop with some time at third and first base, played on Dashners of Red Bud and Plums/Bud Light out of Belleville before retiring in 1997. A line drive singles hitter with some power, Siegfried-Mueller boasted a .640 average over her years on the diamond. In USSSA tournaments or leagues, she was named Most Valuable Player seven times and was selected to five state All-Tournament teams. Also in 1992, she was awarded the Most Valuable Defensive Player at the State Tournament in O’Fallon. She played on teams that were Class C State Champions four times. With Dashners, Siegfried-Mueller and her mates won the 1986 Illinois State Title at Evansville and also in 1989 at Columbia; however, her fondest moment was her first participation in the USSSA World Tournament in which her club finished in eighth place. All the great players want to play against the best competition and, in the early years, women’s softball in southern Illinois was just beginning. But Siegfried-Mueller has thanks for those who got the ball rolling in her area although she feels the number of teams and players decreasing. Most players forget from time to time that the game of softball is just that – a game. While being just a game, it is still a requirement for players to give everything they have for not only themselves, but for their team. Over the years, Siegfried-Mueller feels she left it all on the field and loved every minute of it. We honor a player who did everything in her power to make herself and her teammates better. It is with great pleasure that we say congratulations to Jeri Siegfried-Mueller for her induction into the Illinois USSSA Hall of Fame. Even though the game of softball is deemed a “hitter’s game,” a good pitcher can play a key role in deciding if her team walks off the field with a win or a loss. Over her 35-year career, Vicky Brown played with such teams as National Bank of Rochelle, Prairie Moon Saloon, Uniform Tooling and King Potter. She did her best to give her club an advantage from inside the pitching circle and she did that very well. Being a player/coach for 20 of those seasons also gave her another avenue to help her team meet their winning goals. Brown has compiled an impressive 800-300 pitching record spanning all levels over her illustrious career. She hit .360 with 40 lifetime home runs, but admits none were over the fence and they came early in her playing days when she was faster. She has to her credit a no-hitter, thrown in a USSSA-sanctioned tournament to go along with a pair of one-hit games in league play. She was once hit in the head by a line drive, which required 34 stitches to close, and she says some say she hasn’t been right since. She was named to four Illinois State All-Tournament teams, twice in each the 1970s and 1990s. With King Potter, Brown was named All-Tournament at an NIT and later at the Divisional Tournament. In 1983, her club, Prairie Moon Saloon, finished seventh at the World Class A Tournament in Hutchinson, Kansas. Her son Ryan, who grew up at the softball park, is taking over the reins from his mom as he pitches for his softball team now. As for her thoughts on softball and the USSSA, Brown has special thanks for those who gave opportunities for women to reach their goals. We honor Vicky Brown’s great career in softball by welcoming her with open arms into the Illinois USSSA Hall of Fame.